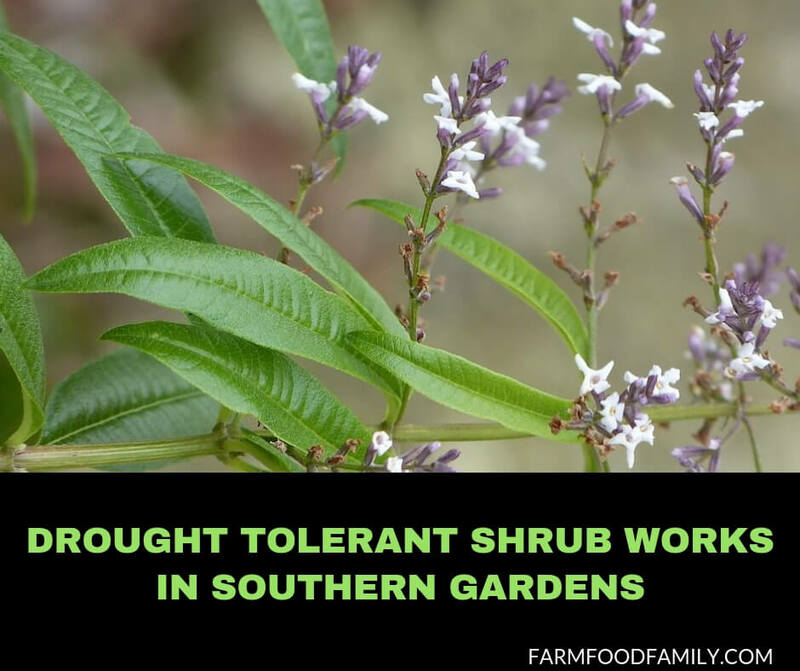 Sweet almond verbena is a drought tolerant shrub for a southern garden. Perennial verbenas benefit bees and butterflies with fragrant flowers and leaves. The genus, Aloysia, includes sweet almond and lemon verbena. These plants are large shrubs when grown in southern gardens. In the north, gardeners find them useful as an annual or tender perennial. Aloysia is a native of Argentina. Hardy in zones 9 – 11, sweet almond verbena is found growing as a shrub in southern areas of the United States and the United Kingdom and in Australia. Aloysia virgata is the botanical name for sweet almond verbena. It is a nectar plant because of the fragrant flowers bees and butterflies like. Sweet almond verbena becomes a large shrub at six – eight feet tall. This herbaceous plant has an upright weeping habit. The evergreen silver-gray foliage complements the white spike shaped flowers. Sweet almond verbena is a repeat bloomer that grows best in full sun. Sweet almond verbena is a drought tolerant plant perfect in a xeriscape garden. Plant along a sidewalk or entry where it is likely to be brushed against. This verbena is perfect for a scented garden near a deck or seating area. However, in cooking or eating areas, it should be slightly removed because of its strong attraction by pollinators. Aloysia triphylla, commonly called lemon verbena, grows into a shrub plant in the south, as well. However, lemon verbena prefers moist soil in full sun to grow 15 feet tall. The narrow shaped leaves have toothed margins and grow 2 – 4 inches long. The very small flowers bloom late summer through fall in white or lavender colors. The leaves have a fragrant lemony smell and are used in teas and potpourris. In the garden, this herb plant should grow everywhere fragrant flowers and scented leaves are appreciated. Lemon verbena is a nectar plant for bees and butterflies. Lantana is another drought tolerant plant that works well in a xeriscape garden. This plant attracts pollinators and grows into a shrub in the south, too. The dark purplish colored fruit is attractive but very toxic. In the north, this plant is also treated as an annual. Lantana is excellent for hanging baskets or boxes. It has a strong structure and tropical dark green foliage. Northern gardeners treat sweet almond verbena as an annual or tender perennial. The plant’s flower shape will remind some of Buddleia, common name butterfly bush, that is more tolerate of colder climates. Lemon verbena is treated as a tender perennial herb that grows 12 – 36” tall. Herb gardeners bring lemon verbena inside during winter. When preparing the plant, conservatively prune to a manageable size; new shoots will grow on old wood. Expect leaves to drop and watch for spider mites, aphids and whitefly. Swiss almond verbena is found through plant nurseries. Lemon verbena is often sold in the herb plant section of many garden centers. When searching for sweet almond verbena, use the botanical name Aloysia, to avoid confusion with Verbena, the annual frequently used in summer gardens.